The Parterre Collection, designed by Sara Baldwinand Paul Schatz, includes 18 designs that are handcrafted in natural stone, Serenity glass, shell, ceramic, and aluminum and are available in different material combinations. In Renaissance Europe, a formal garden was known as a parterre, an elegant planting of scented herbs and perennial borders, edged with gravel pathways. This historic landscaping inspired the Parterre Collection with designs that evoke the royal gardens at Versailles and Kensington Palace. 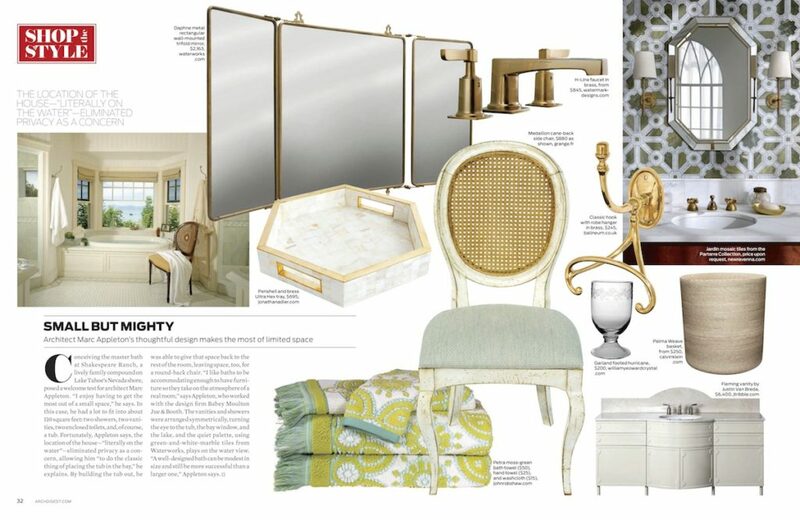 Arabesque, geometric, and floral patterns are defined with hand cut mosaic, shell, and aluminum. Baldwin says, “The parterre gardens were beloved for their charm and symmetrical grace. Each one became an oasis of tranquility and scented beauty. While designing this collection, Paul and I combined materials to replicate the organic texture of the gardens which were a medley of earth, foliage, masonry and pebbles.” Every mosaic in the Parterre Collection is hand crafted by artisans on the Eastern Shore and customized to fit each installation. The mosaics can be installed on both vertical and horizontal surfaces, indoors and out. The Parterre Collection is available at all New Ravenna showrooms throughout the United States, Canada, Europe, Russia, and Dubai.